A traditional walk with camera in hand through the Old Town and the streets of the city centre in the evening of December 31. 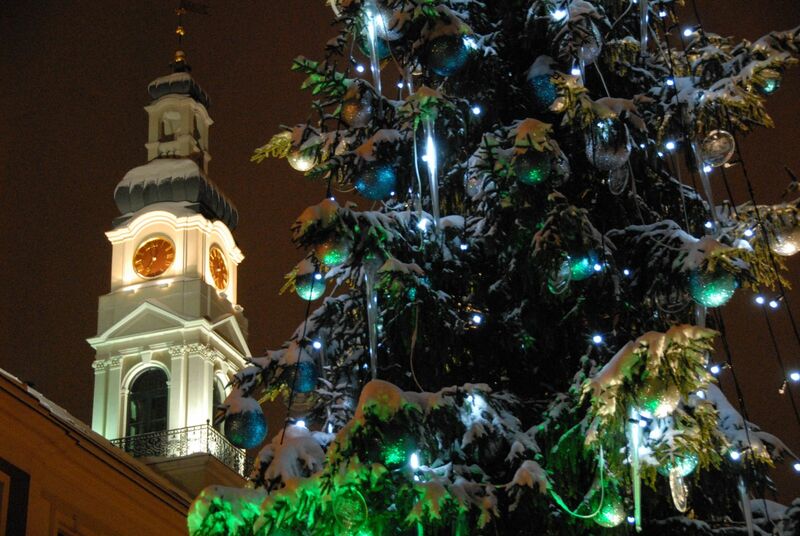 This year I caught the feeling of New Year from white mulled wine and a caramelized apple in Dome Square. I must say, Riga this year is filled with different lights with a path of 25 trees and a big Ferris wheel in Livu Square. A novelty - large, stylized photo frames where one can create memories about this year, the city and its celebration ornaments. But Vermane Garden this time so quiet and calm, with only Live Riga project - 25 national trees with different national flags.